Figure 10. Hole Dimensions for Blind Rivet Nuts and Strap Loops, Unit 2, M105A2, Left Side and Front View. Figure 9. 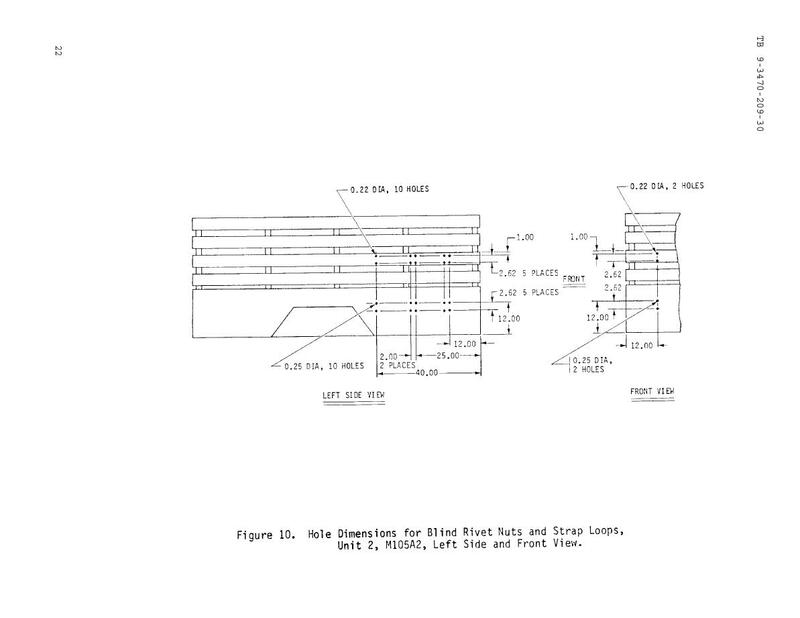 Hole Dimensions for Blind Rivet Nuts and Strap Loops, Unit 2, M105A2, Floor Plan. Figure 11. Components to be Mounted, Unit 2, M105A2, Left Side Elevation.